Product prices and availability are accurate as of 2019-04-17 13:17:41 UTC and are subject to change. Any price and availability information displayed on http://www.amazon.com/ at the time of purchase will apply to the purchase of this product. 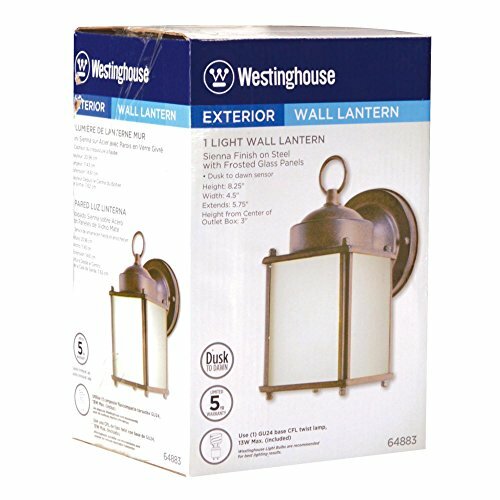 This Westinghouse One-Light Exterior Wall Lantern features a sienna finish on steel and frosted glass panels. The built-in dusk to dawn sensor conveniently turns the light on at night and off in the morning, saving you time and electricity. 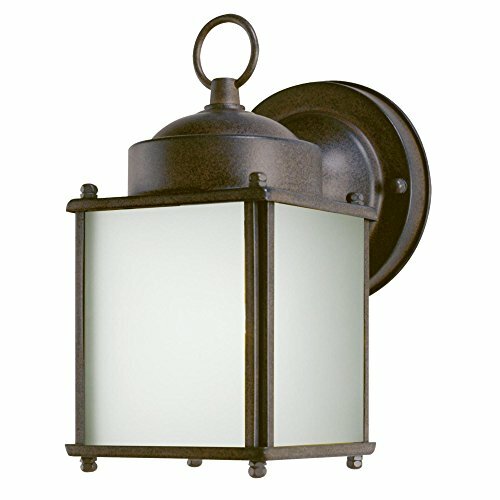 Mount this fixture beside your front or back door, on your porch, or near your garage. 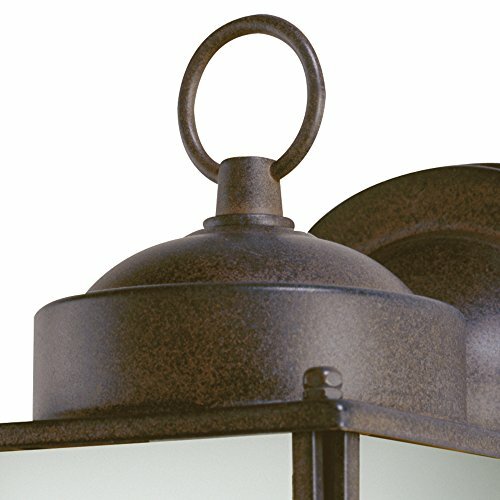 Wherever you place it, you will enjoy the lantern's convenience and classic looks. The lantern is 8-1/4 by 4-1/2 inches (H x W), it extends 5-3/4 inches from the wall, and it measures 3 inches high from the center of the outlet box. The round back plate has a diameter of 4-1/2 inches. 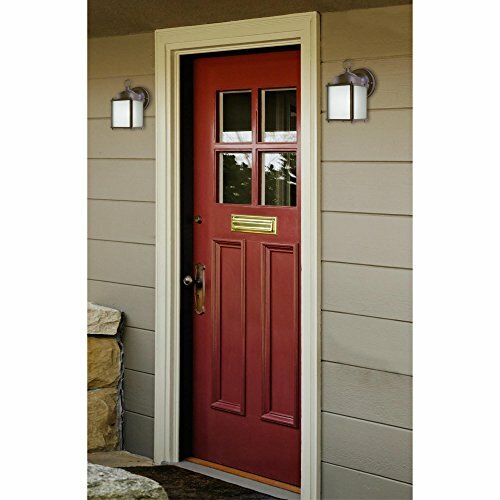 The fixture uses one GU24-base 13-watt compact fluorescent lamp Twist bulb (included). 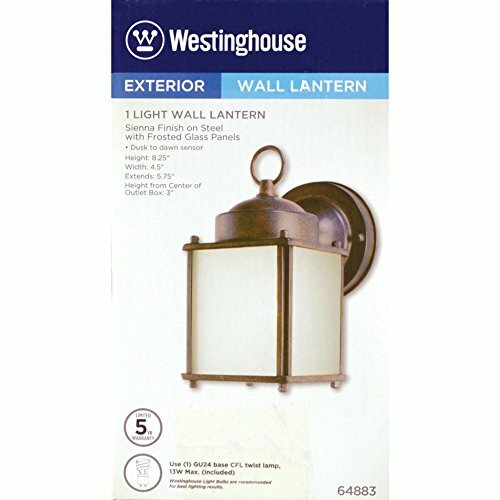 This Westinghouse lantern is Underwriters Laboratories listed for safety. 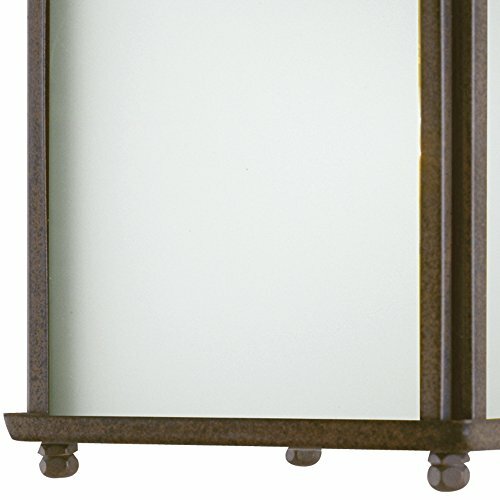 It is backed by a five-year limited warranty against defects in materials and workmanship. Product reference number 64883.